If you’re going to invest large sums of money in something as valuable as a house — new or old — simply put, you’re going to want to protect it. House prices range, of course, but you could be looking at a home that costs anywhere in the ballpark of $150,000 to well over a million dollars. The brilliance with homes is that there’s no such thing as a one-size-fits-all option; every home that’s built is suited for different families with different tastes, needs, and so forth. Think about how different various car models out there are and how they appeal to different owners — home shopping is similar in this respect, but it’s a lot more expensive and also involves much more of a long-term commitment. Considerations, considerations. Have you found the home of your dreams yet? House shopping in and of itself is one thing, but did you know that the price you pay for your homeowners insurance can vary by a margin of hundreds of dollars? 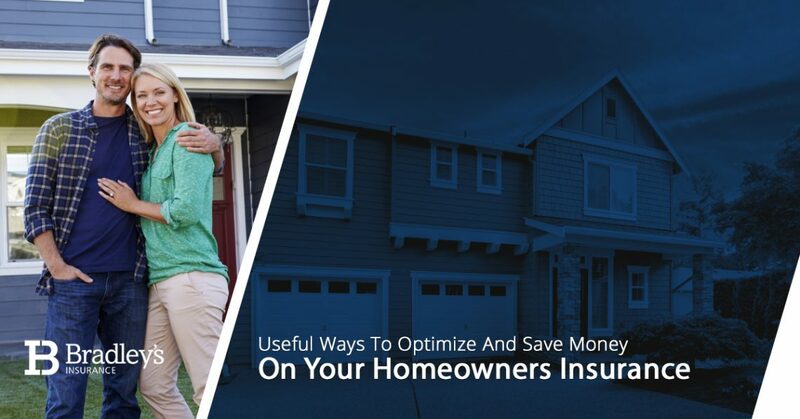 This largely depends on the insurance company that you’re purchasing your homeowners insurance policy from, but other factors — some of which you can control — also play into the home insurance equation. After establishing our roots in commercial insurance services, Bradley’s Insurance has shifted our focus to personal insurance in Ottawa, working directly with homeowners and Ottawa citizens just like you to provide customized personal insurance solutions that fit perfectly with you and your life. Our insurance brokers understand that, truly, there’s no universal insurance policy that works for everyone. That’s why we work with a variety of companies that we represent to find you the best deals on homeowners insurance — it’s that simple! If you’re curious about doing more research on your own in terms of how to navigate the best deals on personal home insurance, this blog is for you. Read below to learn more, or feel free to get in touch with Bradley’s Insurance today if you have any questions or concerns for our Ottawa house insurance experts. Additionally, you can visit here to learn a ton of useful information about bundling home and auto insurance. While it’s our job as insurance brokers to help you find the right homeowners insurance policy, you are, of course, more than welcome to do some research on your own time. Beyond our insurance agents, various resources like consumer guides, online insurance quote generators, friends and family, and even your state (or providence) insurance department can be invaluable in terms of guiding you to the right provider. This will give you a solid idea of what a provider’s prices are like, and which providers are offering the lowest prices for the best coverage. You don’t want to save money on your insurance provider, only for them to provide a shoddy, low-quality service. Fair price is one thing, but do your research to ensure that the insurer you select delivers quality services and responsive assistance when you file a claim. You can also leverage various rating companies to check up on the financial stability of insurance providers that you’re thinking about working with. A.M. Best and Standard & Poor’s are two popular resources to conduct an informal “audit” with. This is a pretty well-known insurance savings tip, but for good reason — it really works! At Bradley’s Insurance, we encourage our valued customers to bundle their home and auto insurance for the best deals on both types of insurance coverage. Generally, providers will take anywhere from five to 15 percent off of your premium(s) if you buy two or more policies from them. That’s a pretty good deal. If you’re moving into a brand new home with pretty strict security measures, then this won’t be too much of a worry. However, moving into an older home — particularly one that’s in a neighborhood that doesn’t have the safest reputation — will probably cost you more in insurance premiums without upgraded home security measures. Things like burglar alarms, additional smoke detectors, window locks and alarms, deadbolt locks, video cameras, and more may be able to qualify your home for a discount. Before you invest in improving your home’s security, however, make sure that your chosen home insurance provider actually provides these types of discounts in order to make it worth your financial while. Windproofing your home is a practical way to fend your home against…well, wind, and might be able to qualify you for certain discounts. Adding things like storm shutters and modernizing your heating, plumbing, and electrical systems can also help. A clean, strong credit history is only going to help you get better deals and rates on homeowners insurance in Ottawa and the surrounding area. Never discount the importance of a great credit score and timely payment history! Get Started With Bradley’s Insurance Today! As the homeowners insurance experts based in Stittsville and Ottawa, Bradley’s Insurance takes pride in connecting the right homeowners with the right Ottawa house insurance policies. It’s your home — you deserve the best protection and coverage possible. Get a free quote instantly or contact us today with any questions about how we can serve you.